Dr Victoria Fan is Assistant Professor at the University of Hawai‘i at Mānoa. She is also Visiting Assistant Professor at the Harvard T.H. Chan School of Public Health, FXB Fellow at the Francois Xavier Bagnoud Center for Health and Human Rights at Harvard University, Adjunct Fellow at the East West Center, and Visiting Fellow at the Center for Global Development. She earned her doctor and master of science in global health and population from Harvard T.H. Chan School of Public Health and bachelor of science in mechanical engineering from the Massachusetts Institute of Technology. Her work in health economics and health systems is broadly concerned with allocating financial and human resources to improve health and to reduce financial risks associated with seeking health care. 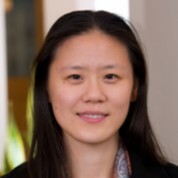 Her work has contributed to identifying the health financing transition, landscaping the health workforce in China and India, and assessing payment and other incentive mechanisms. She has studied aid effectiveness and value for money of development assistance for health. Her work using impact evaluation and economic evaluation in health have assessed the costs and benefits of health interventions and health risks, including diabetes prevention, dental care, end-of-life care, and pandemic influenza. She has published 67 peer-reviewed articles, monographs, book chapters, letters, and policy reports. She has published in The Lancet, BMJ, Health Affairs, Social Science and Medicine, Health Services Research, and other journals. She has applied econometric and quantitative methods to analyze census data, life tables, demographic and health surveys, consumption expenditure surveys, administrative databases, claims data, clinical and electronic health record data, budget data, macroeconomic cross-country time series data, and other sources of health information. She has been invited as a guest speaker by or given advice to multilateral institutions (e.g. WHO, World Bank, UNICEF, and African Development Bank) and national governments (e.g. State Council of China, Finance Commission of India, NITI Aayog of India, and ministries of health in China, India, South Korea, Thailand, and Myanmar). She has worked with nongovernmental organizations in Asia (BRAC, SEWA, Tzu Chi) and at units at Harvard University (Harvard Initiative for Global Health, Harvard Global Equity Initiative, Harvard University Program for Health Care Financing). She previously served as a consultant to the World Bank, World Health Organization, and the China Medical Board. Her research has been supported by the National Institutes of Health, US Centers for Disease Control and Prevention, Bill & Melinda Gates Foundation, China Medical Board, Rockefeller Foundation, and the State of Hawaii. She is passionate about mentoring students and teaching health economics, health systems and policy, and quantitative research methods. She has taught 17 different courses at the University of Hawai‘i and Harvard. She invites students to follow her on Twitter (https://twitter.com/FanVictoria) and to sign up to meet her during office hours (use http://calendly.com/vfan). Victoria was born and raised in Honolulu.